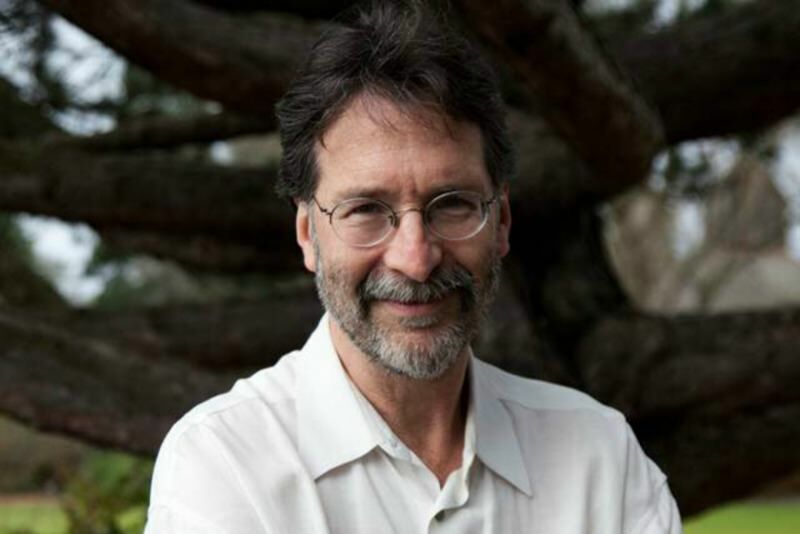 Brian Doyle, editor of Portland Magazine at the University of Portland, author most recently of the essay collection Grace Notes, and a long time contributor to Eureka Street, died early Saturday morning 27 May 2017 following complications related to a cancerous brain tumour, at the age of 60. Here we present, in no particular order, a collection of some of Brian's best pieces from the past 12 years. When we were 17 and 18, the thought of joining the Navy was both fascinating and chilling, for the war in Vietnam was still seething, and all of us had registered for the draft, as required by law. We crowded around a television one night in March to watch the draft lottery, and some had crowed when their numbers were drawn near the end, and others like me were stunned and frightened when our numbers were drawn early. All the rest of my life I will remember hearing my number called first among all my friends, and the way they turned to me with complicated messages written on their faces, and the way one boy laughed and started to rag me and then stopped as abruptly as if someone had punched him, which maybe someone had. Also I did for years take my lovely bride for granted, more than a little; I did think that being married meant that she would never leave me and I could drift into a gentle selfishness that she would have to endure because she had sworn in a church before many witnesses to be true in good times and bad, in sickness and health, to love and honour you all the days of my life, I carry those words in my wallet; but I did not look at them enough and contemplate them and mull over them and take them deep into my salty heart and consider what they asked me to do and be, and there came dark years, and I was in no small part responsible for their bleakness and pain. I went in the kitchen with high hopes. His mum was the kind of mum who baked more than one pie at a time and gave the extra pies away easily and casually as if a peach pie was something to give away rather than to eat half of immediately and the other half as soon as you could recover. She was always giving pies away to convents and bake sales and firemen and organisations for crippled veterans. All I knew about her was the pies because my friend brought in pies for birthdays and teachers' anniversaries and raffles and such at school. I didn't know anything else about his mum. My friend said she was too cheerful, a remark I didn't understand. He said she was a different person after his dad died. The tall man worked in the neighbourhood as an agent against poverty, as he said; his employer was a group called the Brotherhood of Saint Laurence, which had been founded by a priest in the 1930s. The Brotherhood had lost its religious affiliation over the years, but it remained devoted to doing whatever it could to ameliorate and assuage poverty and poverty's endless attendant ills. The tall man had worked for the Brotherhood for years, and he long ago had lost any illusions about the overarching nobility of people who were hammered and lost and helpless against addictions and diseases and crisis and tragedy. Did he mean we are verbs and not nouns? Did he mean that as long as we quest we are answered? Did he mean that curiosity, the itch to know, the urge to inquire, the eager opening of doors and windows each to each, the desire to know a new intricacy of the maze, another level of the mystery, another revelation of the relentless miracle, is the answer to every question, is why we are here? Could it be that every answer we yearn for is answered already? Could that be what we mean when we talk about god? All teachers admit their students will remember very little, if anything, of the curriculum they were taught. But teachers offer context, manners of approach, and the subtle suggestion that a cheerful humility before all problems is the only way toward a useful solution. What teachers really teach is not a subject, but ways to be. Sister Marie was a fine teacher. We sat silently for a long moment, after Linda left, and then Sister sent a boy to the men's room and a girl to the girls' room to get all the paper towels they could carry. It was the fervent dream of the late Mr bin Laden that an epic war arise between the nearly two billion followers of Muhammad ibn Abdullah, blessed be his name, and the followers of Yesuah ben Joseph, blessed be his name, and this fiery dream, born in 1998 with the murder of Kenyan and Tanzanian innocents, consumed 20 years of what must have been a very bright intellect, an often-attested-to personal charisma, and a mountainous personal fortune, and again I find myself thinking how sad this was, how misguided, how twisted. What a waste of gifts given to that man by the Creator! One day I am sitting in my old body at my old desk reading young essays — essays sent to me by holy children of various sizes — and I can feel the joy sloshing and rising in me as their words pour in, and finally I get topped off by the phrase in otter words. A child has scrawled this in the brightest green ink you ever saw: in otter words, the holy parts are circled, she writes. I think maybe the top of my head is going to fly off from happiness, and what remains of my organised mature mind sprints away giggling and mooing with pleasure. I have been married once, so far, to the woman to whom I am still married, so far, and one thing I have noticed about being married, so far, is that it makes you a lot more attentive to divorce. Divorce used to seem like something that happened to other people, but not any more, because of course every marriage is pregnant with divorce. Now I know a lot of people who are divorced, or are about to be, or are somewhere in between those poles, for which shadowy status there should be words like mivorced or darried or sleeperated or schleperated. People get divorced for all sorts of reasons, and I find myself taking notes, probably defensively, but also from sheer amazement at the chaotic wilderness of human nature. Sometimes then we were allowed to open a few presents, just because, although the Great Unraveling was always in the morning, and once I remember opening a present on which a very young niece had written MARY CHRIST BUS with all her might, with every iota of her tongue-clenched diligence, and if I was a wise man, which I am not, I would have saved that scrap of extraordinary American literature, and folded it into my battered wallet, so that I could even now, a thousand years later, pull it out ever so gently, and open it up with the utmost care, and see the world as it is, ancient and glorious and fragile and timeless, and written endlessly by the young. Some once meant everything and now mean nothing. Some grow quietly in our hearts as the years go by. Some spoke powerfully once and then faded. Some arrive suddenly, stunning and refreshing, from unexpected quarters of the compass, and you know in moments you will be friends for life. Some are dressed in motley and rags but a light shines forth adamant and strong. Some are all thunder and no rain. Some are wiser than their own words can measure. All matter in ways great and small, as all house stories. He had divine range, and could drill that shot from anywhere. He was cat-quick, and could get his shot off against the grimmest of defenders. He had exquisite judgment and timing — he never took a bad shot, was liable to stunning hot streaks, and had the killer instinct granted to a few great players who understand exactly when a crucial score utterly deflates an opponent. College scholarship offers piled up on the dining room table of his house. But Jimmy declined the glories of collegiate sport; he wanted to be a United States Marine, one of the few and the proud. He joined the Marines the day after we graduated from high school. Several months later he was in a war. At about one in the morning I noticed that the dad of a friend of mine was in the corner drinking hard and telling funny stories. He got drunker and drunker until at about three in the morning he started shouting and cursing and some glass smashed and finally he fell down. Seeing a dad huddled in a moist heap on our linoleum floor was a great shock. I had never seen a drunken dad before. Her name was Vikki. She was 54-years-old. She lived alone in a little place three houses down. Her house was so reticent and mossy and shouldered by brooding fir and cedar trees that you never noticed it from the street. She had two cats. She never married. Had no children. One brother who lived far away. Parents deceased. Was a bookkeeper in a factory but when the factory closed she lost her job and never got another and never really came out of her house again. We neighbours were discreet or cold or ignorant or distracted or busy or shy or polite or whatever word fits the naked fact that we didn't know her or talk to her. Then a week ago her house burned to the ground with her inside. Look, I know all too well that the story of the world is entropy, things fly apart, we sicken, we fail, we grow weary, we divorce, we are hammered and hounded by loss and accidents and tragedies, we slide away into the dark oceans behind the stars. But I also know that we are carved of immense confusing holiness; that the whole point for us is grace under duress; and that you either take a flying leap at nonsensical illogical unreasonable ideas like marriage and marathons and democracy and divinity, or you huddle behind the brooding wall. Friend of mine went to buy a foot the other day. Left foot. He lost the original in a war, and he didn’t replace it for a while, being distracted by other things, as he says, but eventually he did replace it, first with a bamboo foot, which was a terrible foot, he says, and then with a rubber foot he made from a tyre, which was actually a pretty good foot, he says, and then with a series of wooden feet, which were pretty much worthless, he says, and finally with a series of plastic feet, which are much better than wood or rubber or maybe even the original, he says, although the fact is I hardly remember that one at all because we parted company so long ago. I am here to witness. I was sent to sing. I am here to catch and tell the story of the teacher who ran with a child on her shoulders out of the ash and fire of September 11. I am here to tell you that a man and a woman reached for each other at the high windows in the south tower and they held hands as they leapt into the void. I am here to tell you that a man carried a colleague eighty floors to the street and then went back in. I am here to marvel at a pope praying with his almost-assassin, to marvel at victims forgiving the murderers of their children in South Africa, to be riveted by all the thin bony nuns who have carried the church on their shoulders for centuries and hardly anyone ever shouted my god without those women there would be no church whatever whatsoever absolutely! I am here to hear all the stories of all the women who have bent every ounce and iota of their souls to love, which is pretty much all the women who ever lived. I am here to see unreasonable illogical nonsensical courage and faith. I am here to sing grace under duress. I am a storycatcher, charged with finding stories that matter, stories about who we are at our best, who we might be still, because without stories we are only mammals with weapons. I am here to point at shards of holiness. That’s all. That’s enough. Editor's note: It was a challenging (but also immensely pleasurable, and deeply sad) task to read back over the more than 100 of Brian's articles and poems published on Eureka Street since 2006 and decide which of them should be included on this list. If we have missed any of your favourites, please share them in the comments below. I've just read no. 11 "Humanity Reflected in the Diversity of Books". So very wonderful. There was a story about a dad and his three children walking along the beach - and the little boy had crippledy legs . . such a beautiful story of love, happiness and 'that's how life is'. Dashed if I can remember the full story, but I remember going damp in the eyeball region and meaning to keep it in my 'WorthReading' file.